Atlantic Power Cleaning is one of the few companies in New England that specializes in installation of humane bird control for commercial buildings. Birds can become burdensome when they make nests in parking garages, building ledges, roof tops, entry ways, train station awnings and more. The nesting materials, droppings and parasites contaminate the area where the birds are nesting, as well as surrounding areas. Many companies have tried options from plastic owls to electric wiring to rid the birds from the area, but these remedies simply will not solve the problem. Atlantic has had a tremendous success rate with the bird control netting product. 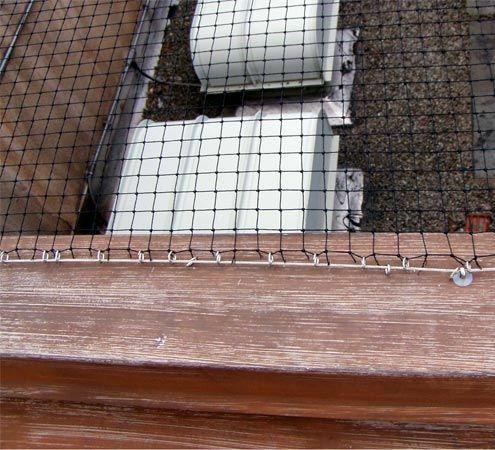 Since we are a full service company, Atlantic will not only install the netting system for you, but prior to installation, we clean up the nesting materials and then HOT water pressure wash the area to remove any toxins the birds have left behind. Your solution to humane bird prevention and clean up is only one call away. If you are in the Massachusetts or New England area, please call us at (781) 933-4142.